"Please thank your hard working staff for transforming my badly stained floor into something special." Trouble free terracotta floor tile seals – guaranteed! We only use our own unique long-term seal to protect your terracotta floor our product is completely stain proof and will last for up to 10 years before recoating is required! We have used this product for many years and on hundreds of floors and upon request our past customers will be pleased to confirm our seal’s resilience to you. Contact us for a free tile sample with our seal applied and ask our competitors to do the same so that you can compare and test the resilience yourself! We also provide you with a 5-year free warranty with this system. Removal of in ground soiling and ineffective seals and polishes. Either whole floor or partial re grouting of the terracotta floor. 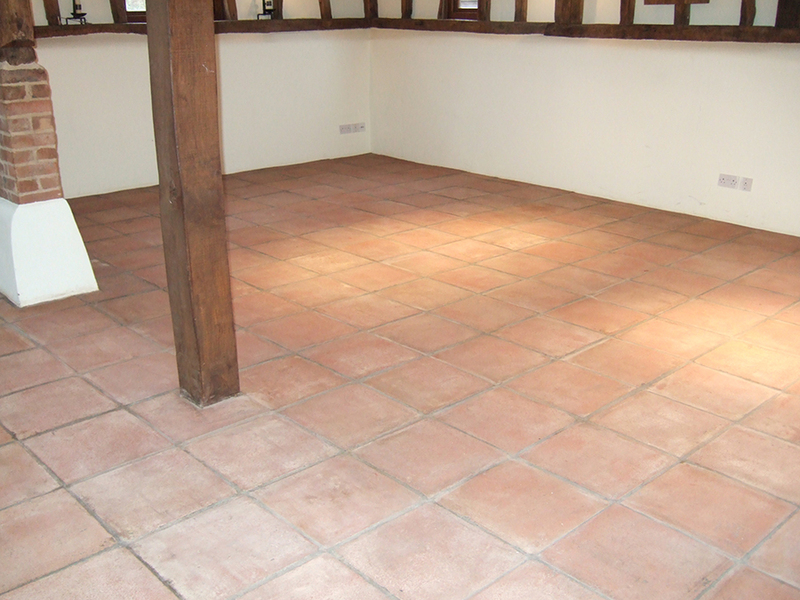 Replacing missing or damaged terracotta tiles. 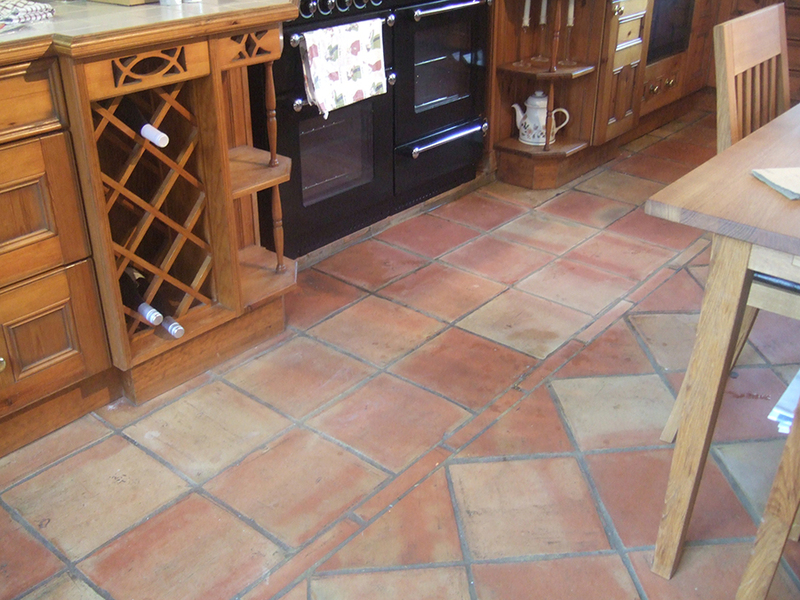 Provide you with full aftercare instructions to ensure a trouble free terracotta floor! 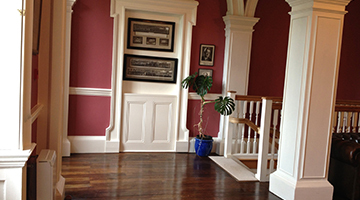 *Our seal is stain proof (this is quite different to stain resistant offered by other suppliers and contractors). We receive regular emails and phone calls from people complaining that their flooring contractor or indeed a product that they have applied themselves has failed and lasted just 12 months! 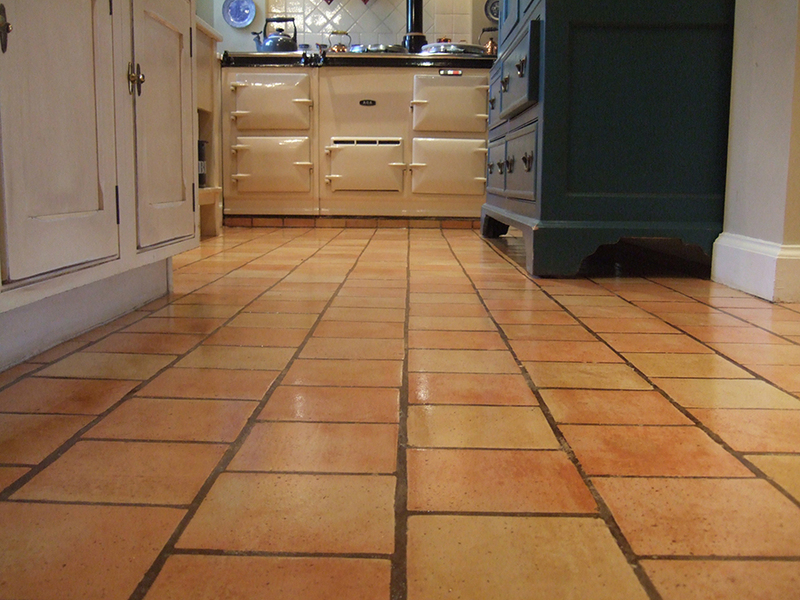 Many of our enquiries are from people who have actually considered taking up their terracotta floor and replacing the floor with another floor type. There really is no need for this type of expensive and disruptive action as in most cases when we are finished the floor will look as new and result in a stain proof terracotta floor that is very easy to clean. Our seal is glossy to begin and will tone down to a more natural satin finish after 2 months; the fully cured finish will then resemble a naturally waxed floor – that said a number of our customers prefer the glossy appearance at the beginning! 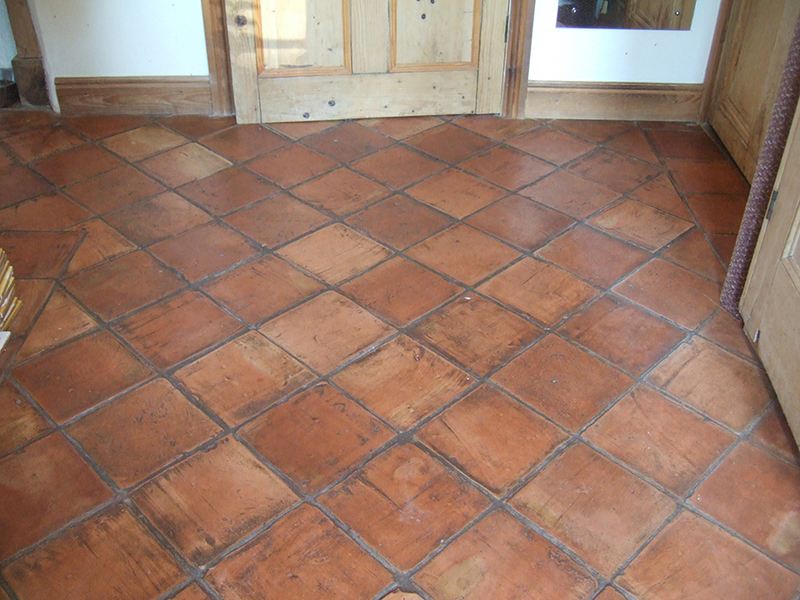 In common with other retailers Fired Earth used to apply linseed oil and wax to finish their terracotta floors. 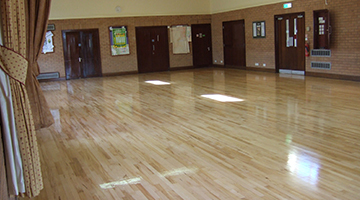 Unfortunately this type of finish leaves the floor susceptible to staining and is very difficult to clean and maintain with constant re oiling and re waxing as well as machine burnishing required to maintain the finish. The owners of this floor had become very tired of the upkeep to the floor and asked us to apply are stain proof system to the floor. We completely removed the old linseed oil and wax finish then after a short drying time installed our own durable seal. 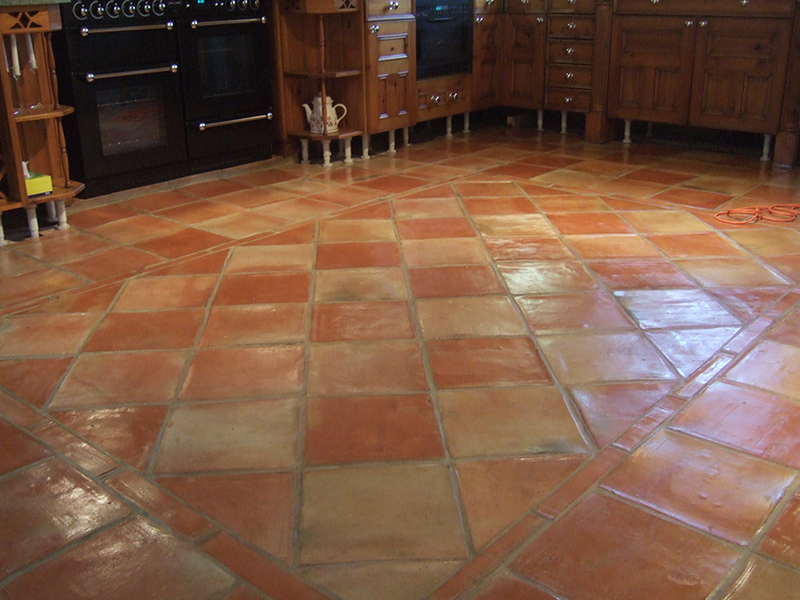 This floor had been sealed with a proprietary terracotta seal purchased from the Internet; although the product was labelled for use as a terracotta sealer it proved to be completely inadequate. The tiles were absorbing water readily and leaving water stains on the tiles. The tiles have been cleaned and coated with our seal; now water ingress is no longer a problem! Ineffective seals had caused the floor to stain with grease from cooking a constant source of concern to our customer having to worry each time she made a meal. 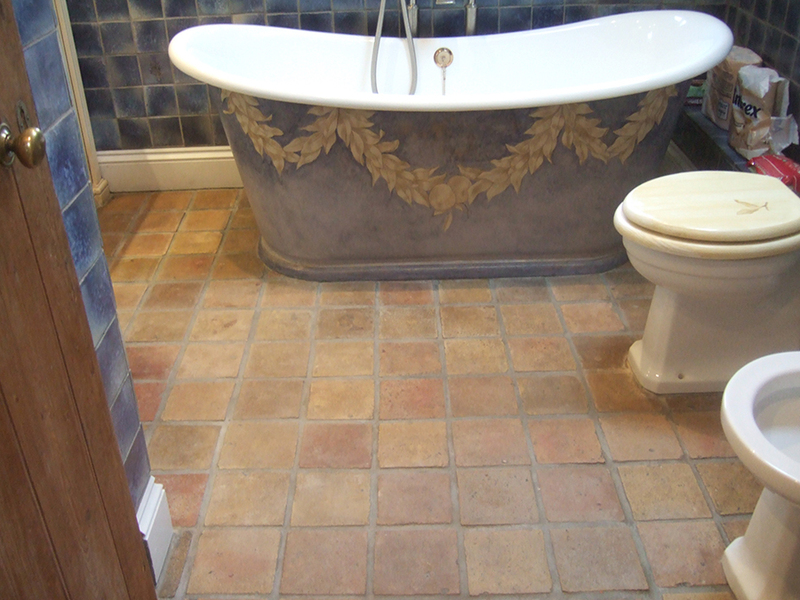 The existing seal was stain resistant only and allowed grease and oil to mark the tiles. Now the floor has been stain proofed with our unique terracotta seal preventing grease, oil or anything else from staining the tiles; there is also a marked enhancement to the floor tile colours and general improvement to the floor appearance. Another flooring contractor had previously treated this terracotta floor; they had applied no less than 8 coats of their product to the floor! The property is in the countryside and with 2 Labradors the floor quickly deteriorated and within just 2 years looked like this! After replacing a few cracked terracotta tiles we removed the failing old seals and deep cleaned the grout before applying our stain proof seal. Terracotta can be very difficult to clean and prepare especially with regard to removing the myriad of various seals on the market. 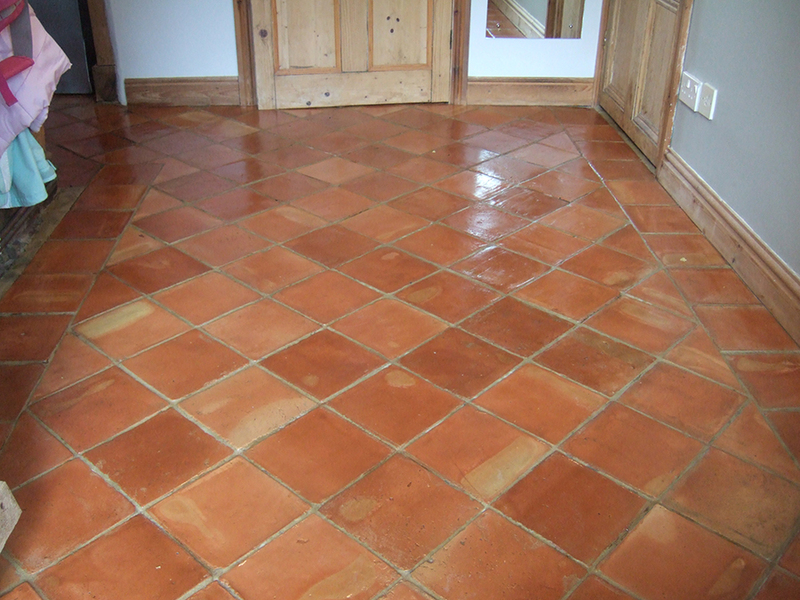 Employing the incorrect solvent or stripping process to deep clean and remove old terracotta seals can result in permanent damage to your floor. Before we restore your terracotta floor we always carryout a compatibility test to establish the correct stripping agent and process that is required to prepare your floor for our seal. The photo above demonstrates how not to prepare terracotta floor! A flooring contractor with very limited training and knowledge had attempted to remove the old seals using a high-pressure heated steam machine. The other contractor was unable to remove the seals but he also left a series of embedded circles in the floor tiles; all of this amounted to an intensive restoration project! After a thorough assessment of the floor including chemical strip testing we completely removed the old seals left behind by the other contractor and minimised the circle patterns in the floor that had appeared as a result of his machinery. Some grout damage had also occurred and this was replaced with filler to match the existing; finally the floor was sealed with 3 coats of our own product. Please see below our final examples of terracotta floors that we have restored - we have lots more – and as we have said we can often send you a photo of your own terracotta type floor fully restored and stain protected. An unsealed floor – Such a treat to have a floor before anyone has done anything to it! 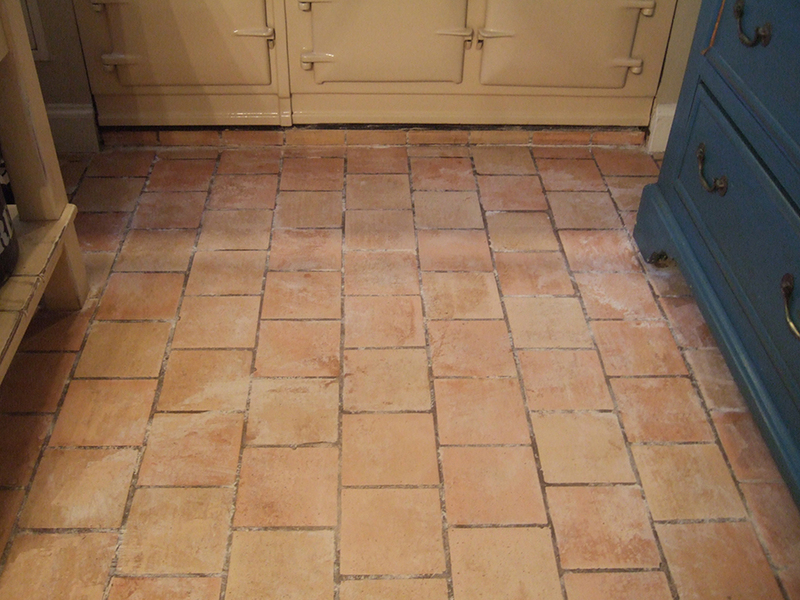 If you are laying a terracotta floor then each tile should be pre sealed with our seal before you lay it! You can then be assured that the adhesives and grout will be not stain the tiles and any overspills will be easy to wipe off. After completion of the laying the tiles will simply require 2 further coats. Terracotta is extremely porous and will stain readily unless it is pre treated. Now Sealed and fully protected terracotta tiles. 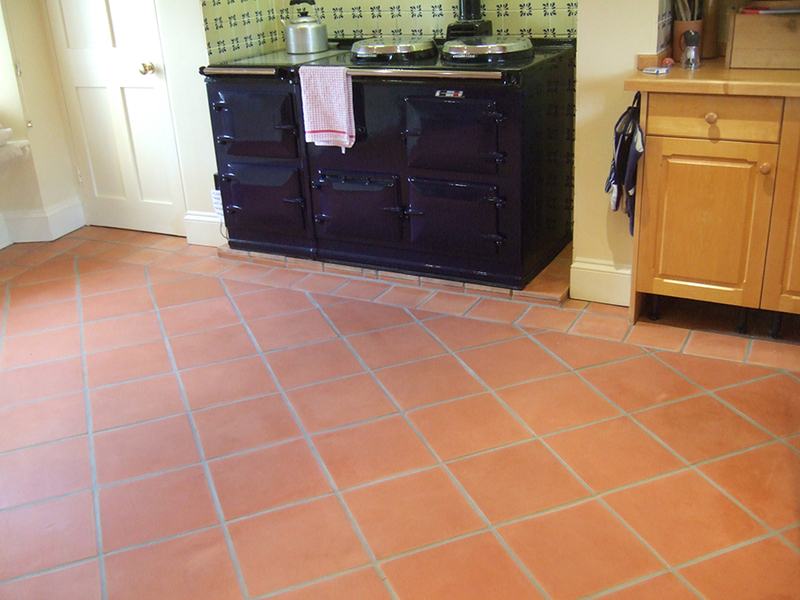 Terracotta tiles attract dirt and stain easily and are difficult to clean. Ineffective and inferior seals /polishes applied which fail to prevent soiling of the tiles. Removal of all existing seals back to bare original clay tile - the stripping technique as well as the difficulty /ease of this process will depend on the seals previously applied. If you are considering our system then please do not apply any seals or polishes, as their subsequent removal by us might be more costly! 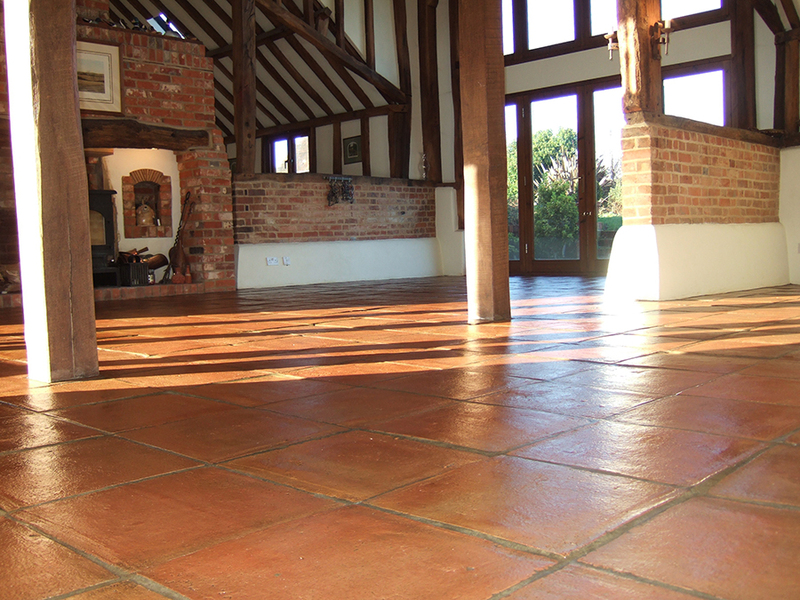 Recoat with our own unique purposely-designed terracotta seal to ensure a trouble free and greatly enhanced floor. 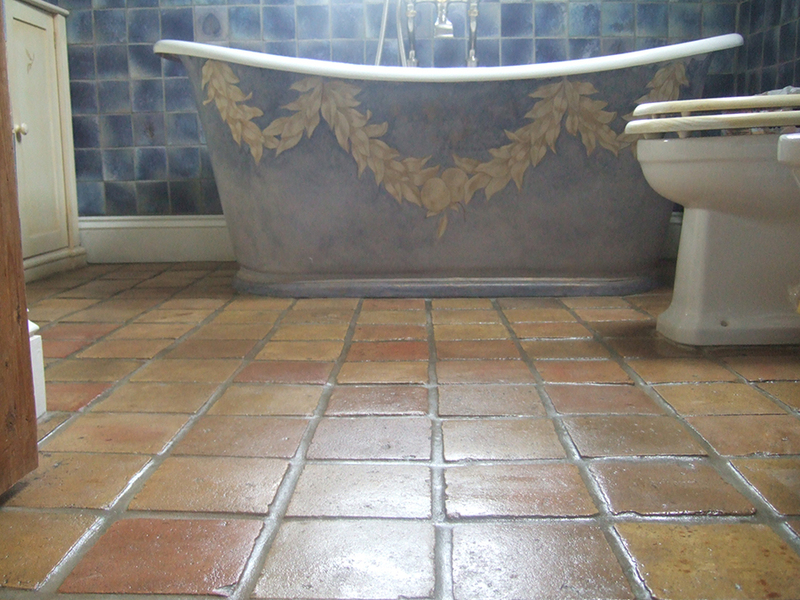 Terracotta tiles are yellowing and discoloured; the finish is obscuring the natural colour and beauty of the tile. In correct seals applied – as above – the polish has degraded and yellowed. We will Remove inappropriate seals and treat as above. Terracotta tiles are cracked or chipped. Tiles laid on newly laid concrete floor that has not had sufficient drying/curing time; the subsequent movement of the concrete causes the tiles to crack. Terracotta tiles laid on incorrect adhesives – the adhesive should be flexible to allow for contraction and expansion. In cases where the tiles are newly laid then If under floor heating is installed then this should be set to its lowest setting and gradually increased over a period of 4 weeks; setting the temperature on a high setting will inevitably lead to cracking of the tiles as the adhesives and grout should be permitted to dry naturally as well as acclimatizing the tiles. Structural movement – natural under floor movement of concrete etc. ; again this is more prevalent in cases where the adhesives are not flexible and tends to occur at weak spots such as doorways. We will carefully remove the tile/s before replacing the tile embedding it on a flexible adhesive and grout. Please note that if you have electrical circuit type under floor heating system fitted that there is a risk of damage to the system and that whilst we take every care in removing the tile that we are unable to accept responsibility for any damage. There is far less risk of damage involved with a 'wet' under floor heating system which consists of water heated pipes located 1-2" below the substrate and in any case any damage can be more easily rectified. 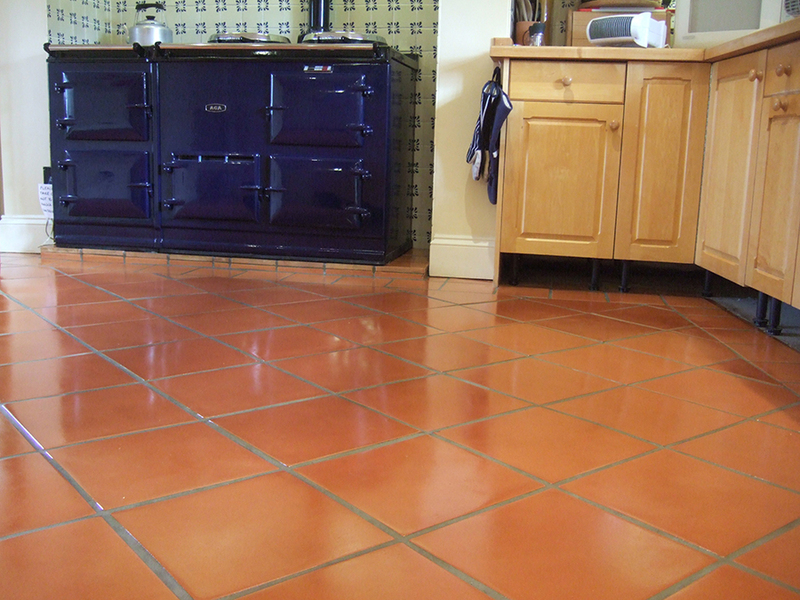 Terracotta tiles grouting is discoloured or missing in areas. General wear and tear; inappropriate seals applied which attract soiling. We will deep chemical clean the grout and in most cases the grout will return almost to its original condition. Missing grout will be replaced with very closely matching filler. After the above the grout will be sealed with the same high efficiency penetrating seal as above. In cases where the grout is generally loose, crumbling etc. 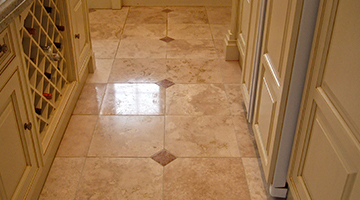 we can also remove all of the grout and replace it with fresh grout.